This web site ~ www.radomes.org ~ is the source for this subpage. For the most current information, please visit this host site at the above address. to this section shown below. Please feel free to visit the host site. Copy and paste this link. to see the latest information that has been posted to this site. TM-196 Z-196 693 Dauphin Island AFS, AL FPS-20; FPS-6A (2); FPS-7 FPS-93A; FPS-6 * Jan-59 Sep-70 * * Re-opened in 1972 as part of the Southern Air Defense System. TM-196A / M-126A Z-126A New Orleans, LA FPS-14 FPS-18 Oct-57 1 July 1970 Gap-Filler Annex. The radar site was located at Camp Leroy Johnson (next to Lake Pontchartrain). TM-196B Z-196B Gulfport, MS FPS-18 Aug-61 01-Jul-70 Gap-Filler Annex. Site was just east of the airport, on 47th Street, between Adams Ave. and Chamberlain Ave., per USACE FUDS report. Some photos and documents may be marked with varying degrees of classification, up to SECRET. Data so marked is the way it was delivered from official USAF sources, and have been completely declassified. To the best of our knowledge, no currently classified data is stored on this site. This site and the attendant 693rd AC&W Squadron became operational in January 1959. The site had an AN/FPS-20 search radar and two AN/FPS-6A height-finder radars. 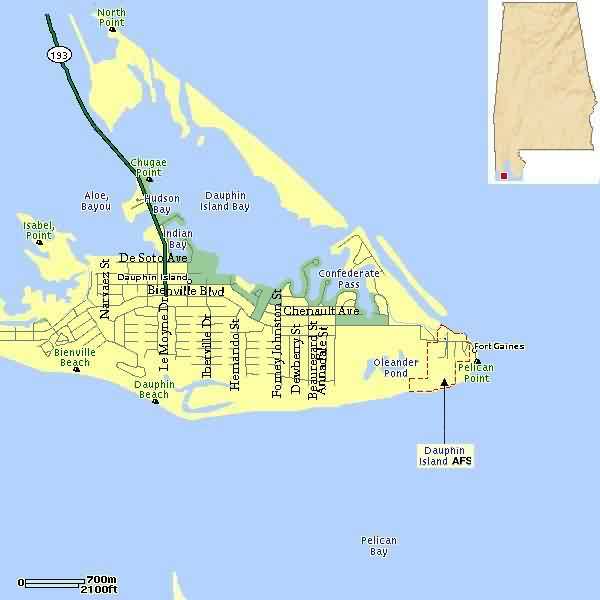 Dauphin Island began operating an AN/FPS-7 radar in 1960, and joined the SAGE system. In 1961 this site was an ADC/FAA joint-use facility. However, it was removed from joint-use status in 1962 and then put back in joint-use status in 1963. Two years later, the site was again removed from joint-use status. The Air Force deactivated the 693rd in September 1970. The site was re-opened in 1972 as part of the Southern Air Defense Systems (SADS). A second radar squadron, the 635th, arrived from Fort Lawton, Washington that year. This unit operated an AN/FPS-93 and an AN/FPS-6 radar. The 635th was deactivated on July 1, 1974. The radar site became operating location OLAG / 630th Radar Squadron, and later an operating location of the 678th Air Defense Group. The site closed for good on 30 September 1980. References: "Searching the Skies"; misc. ADCOM documents.